Our versatile and lightweight bath step is a boon to any person who finds it difficult to get in and out of the bath or shower. 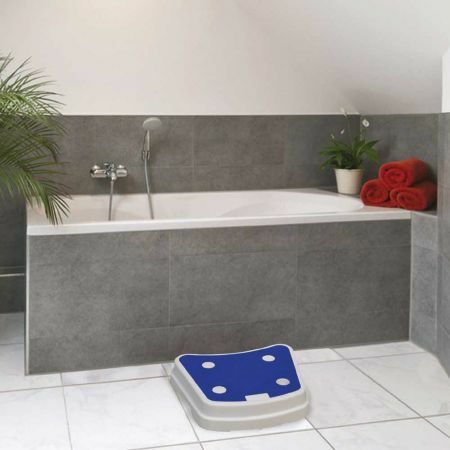 Featuring an extra large platform with a textured, warm touch anti slip top surface and rubberised feet for additional safety this stackable step raises the floor level to make getting in and out of the bath or shower easier and safer. The design allows multiple steps to be securely stacked raising the height in 5cm (2”) increments. Ideal for use in bathrooms or around the home. For greater safety, we recommend the use of our anti slip bath or anti slip shower mats in conjunction with the Bathroom Step. 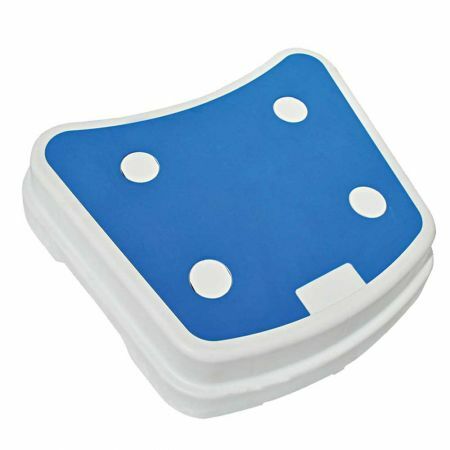 Deluxe Bath Board with soap tray and integral handle for safer transfers. Tap Rails to make getting in and out the bath easier and safer. A range of grab rails to complement our bath, shower and toileting aids. A large firm sponge pad with a broad, bendable handle.